Summer’s not over yet, and if you’re like us, you probably want to pack as much outdoor summer fun into August as you can! 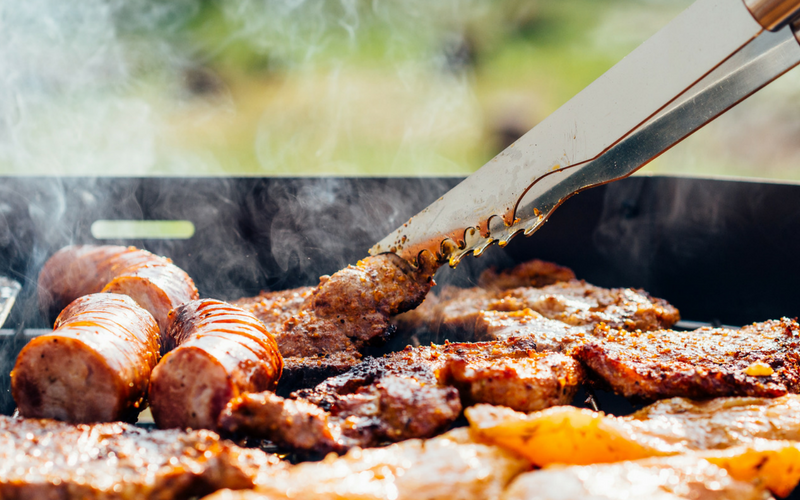 But before you host your next backyard barbecue, read through these six important tips to keep everyone safe, happy, and healthy at your party. Food is the centerpiece of any party, but when you’re dealing with hot temperatures and all-day outdoor parties, food can also quickly turn into a health concern. The best rule of thumb to follow is to keep hot foods hot and cold foods cold. Hot foods should stay at or above 140 degrees when stored, unless you’re going to pop them in the refrigerator and then pull them out again for later. Cold foods should stay below 40 degrees. Temperatures between 40 and 140 degrees provide the perfect environment for bacteria to grow. You also want to keep different types of food separate, especially meats, to avoid cross-contamination. The temperature of your food is also important when you’re cooking it. Grilling meat to the proper temperature ensures that all bacteria is killed before your guests eat it. It might seem like a no-brainer to wash your hands before you eat or handle food, but surveys have found that most people skip this step, especially when at a party or other social event. Make sure you wash your hands with soap and water for at least 20 seconds before handling, serving, or eating food. If you’re in a pinch and don’t have access to water, you can use hand sanitizer. Anytime you spend time in the sun, you should take precautions to protect your skin from its harmful UV rays. Studies have shown that wearing sun-protective clothing is the most effective way to block UV rays from your skin. However, if you plan on wearing shorts and a tank, you don’t want to forget sunscreen on those areas. For people with sensitive skin or who are concerned about using chemical sunscreen ingredients, try using a mineral-based sunscreen instead. Drinking alcohol can make you even more dehydrated, so make sure you’re drinking plenty of water and limiting your alcohol intake. If you or someone you know is struggling with alcohol use disorder, please feel free to contact our community nurses for free resources available in our community.